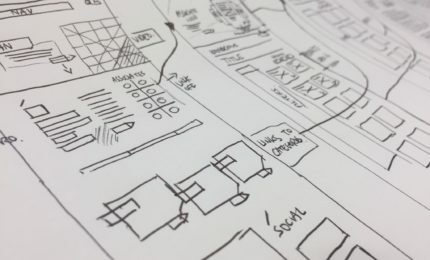 At Formation, we’re well known for our ability to create hand-crafted websites tailored towards usability, functionality, and effective design – and we’re proven at it. It was for all these reasons that the National Trailer and Towing Association (NTTA) approached us for help with their website. The National Trailer and Towing Association are a not-for-profit organisation representing the interests of the light towing industry in the UK. The aim of the organisation is to promote safety and quality standards for towing, provide resources to both registered members and the public, and provide a comprehensive UK directory of light towing. 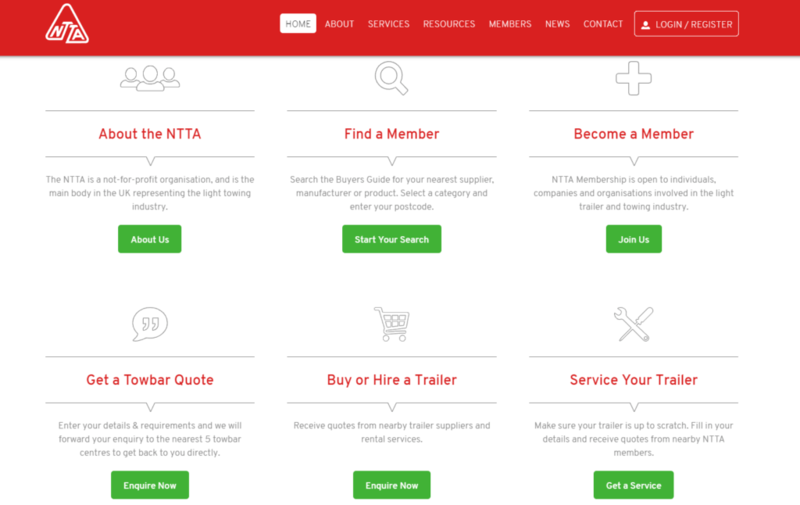 Members pay a small fee to be registered and included on the directory, and in exchange they also gain access to training and official representation on behalf of the NTTA. During our first discussions with the NTTA, we quickly realised that their current website, despite being relatively modern and recently developed, was not fit for purpose. The NTTA echoed this, illustrating issues they were having around accessibility for their paying members and public users, who were having difficulty finding resources, using the directory, and generally benefitting from the purpose of the NTTA. The NTTA felt their values and aims were not being communicated well by the current functionality, and it lacked key features that were necessary for paid members to get the most from the website. Having listened to the concerns of the NTTA and their members, we assessed that the most important thing to achieve for them was to have a website platform with increased user functionality that was accessible to all. For this, we migrated their website over to a WordPress platform, which is far more suited for users and administrators to manage a website and posts on their own terms, and allows for the greater capability and functionality which they required. During the migration of the site, we also restricted and redesigned the website to meet the demands of the users and to better communicate the values of the NTTA. This redesign and restructure improved the existing user functionality and user experience: administrator functions were easier to access and implement, and the blog post format for members was greatly improved and became much easier to use. 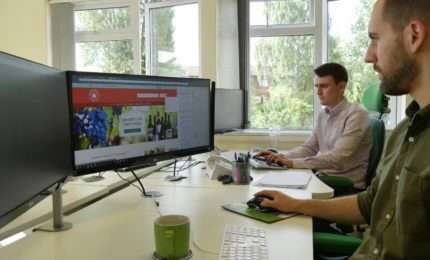 By migrating the website and the consequent redesign and restructure we undertook, we’ve been able to ensure that there is greater value for paying members of the NTTA as well as for members of the public who access it. The directory function is much improved with a direct quotation system now in place, and resource availability is now much easier to access and laid out more clearly for all. We successfully launched the refreshed website in autumn 2017 and we’ve received excellent feedback on it from the NTTA and their members for it’s improved functions. We’re looking forward to continuing to work closely with the NTTA and have agreed to look more at improved functionality and user experience options for the website based on member feedback for the future. Formation are very pleased with the result we’ve produced for the NTTA and look forward to continuing to build upon our work in the future. 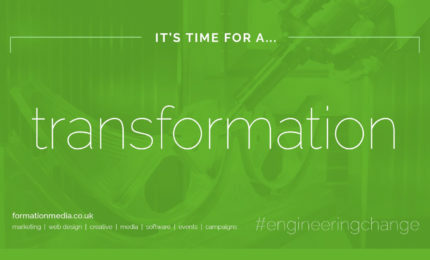 Could your website benefit from our expertise? Contact the experts at Formation today for more information. This is not a drill! How poor UX design caused mass panic in Hawaii.